What we cook and serve at home is an expression of from who we came, where we’ve been…and who we’ve married. 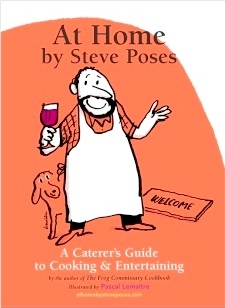 Fittingly, At Home includes recipes for both Henny’s Stuffed Cabbage, from my mother, and Ginny’s Meatballs with Tomato Sauce from Christina’s mother. We are a combination of traditions old and new, inherited and borrowed. Our table is who we were, who we are today and who we aspire to be. What follows is a “bottom note” about my traditions — it is one of the autobiographical notes that pepper the pages of At Home. Many years of demanding work, single fatherhood and a reclusive social life meant I was a near-celibate when it came to home entertaining. Christina changed all that. She has a wide range of friends and family and loves having them over. A very stylish entertainer, she always has a bottle of champagne in the refrigerator and her oft-repeated and perfected salt and pepper chicken is featured on page 157. Naturally, Christina has influenced the shape of this book, just as she’s shaped my home entertaining attitude. She is from the KISS school of entertaining: Keep It Simple, Sweetheart. Her philosophy is that by keeping it simple, you’ll be inclined to host more often and maintain the focus on your guests. For too long, I thought of entertaining as my art and guests were simply a welcome excuse to practice that art. Married on November 29th, we decided on an early December holiday gathering. Worn out from our wedding and the demands of recipe testing, I was, frankly, hardly in the mood for extracurricular cooking. Yet holiday entertaining was a long-held Christina tradition and we wanted to celebrate married life with friends and family in a season of celebrations. Potato latkes (see page 340) were de rigueur. On my list of recipes to test was choucroute garnie, the traditional pork-laden sauerkraut dish that I made for Christina for our first New Year’s Day together. So, killing two birds with one stone, the choucroute garnie complemented our latkes, making for a reasonable Hanukkah and Christmas pairing befitting our respective holiday traditions. Dessert was lavender ice cream—leftovers from the batch I’d made for our wedding. Harry Ochs died a week ago Sunday. Harry was an un-sung hero of Philadelphia’s food renaissance. His Reading Terminal “butcher shop” — which his son Nick continues — has been the meat mecca of accomplished and aspiring Philadelphia cooks for generations. If Harry was your butcher, you were a lucky cook. Harry’s knowledge added interest to countless Philadelphia tables. There will be a memorial service honoring Harry at 1 p.m. today in Reading Terminal Market’s Center Court. Supermarket meat departments provide the most common cuts of meats and poultry. But there are wonderful uncommon cuts of meats that are often less expensive than the usual filets and steaks. If you get friendly with your supermarket butcher they may be willing to special order less common cuts. Better still, find a local butcher shop. Use your butcher’s knowledge to expand the range of cuts you use and add interest to your table. I will be at Beth Cooper’s Coopermarket from 3PM to 6 PM. Coopermarket is at 302 Levering Mill Road in Bala Cynwyd. I will be at Weaver’s Way in Mt. Airy on Saturday, December 19th from 11 AM to 2 PM. Weaver’s Way’s Mt. Airy is located on 559 Carpenter Lane. Everything on this list makes an excellent stocking stuffer and welcome addition to the kitchens of home entertainers. 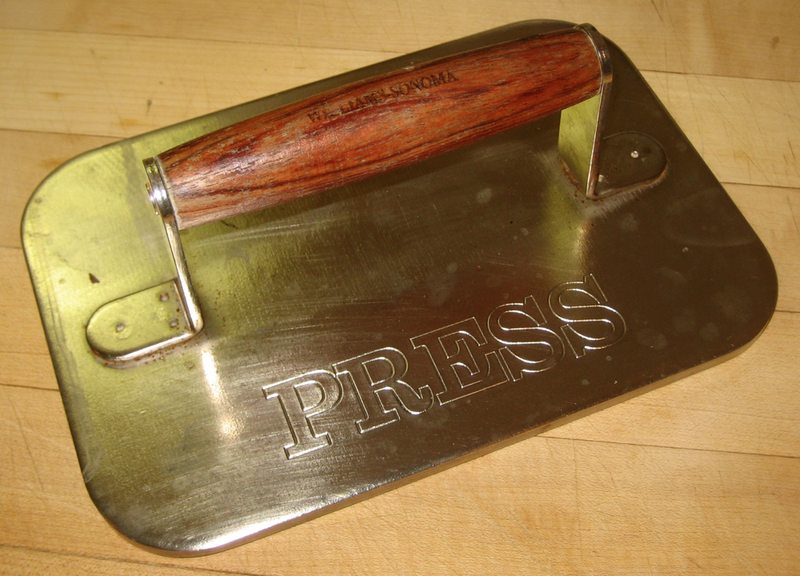 (Well, the grill press would need a very sturdy stocking and the Repositonable Labels a very wide stocking.) The side margins of At Home by Steve Poses are filled with advice like this on equipment as well lots of other advice designed to inform and inspire. My dough scraper to scoops up and transfers chopped vegetables from my cutting board to bowl or pan. I also use it keep my prep area clean and tidy. It is an invaluable assistant. I would not think about prepping vegetables without it. See my Setting Up for Prep on Page 21 of At Home or see the dough scraper in action on my Setting Up For Prep video. View Video. 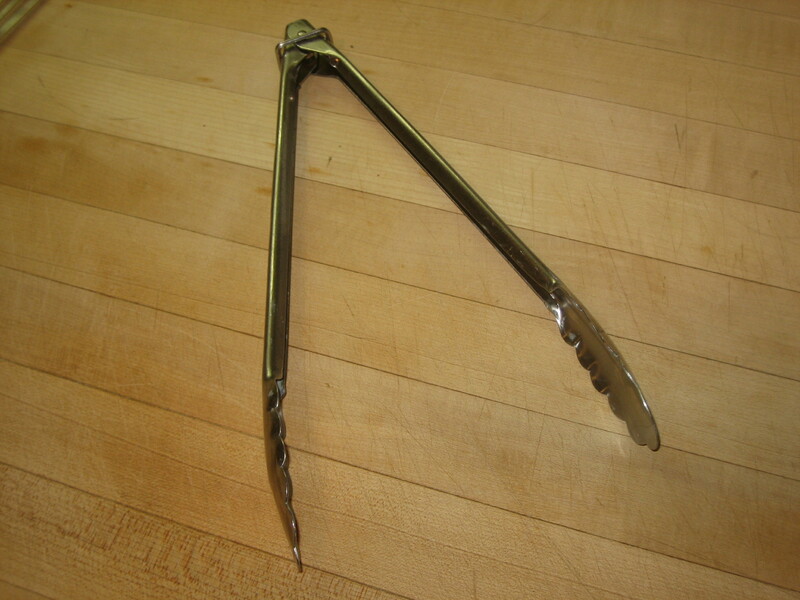 Everyone needs a pair of stainless steel spring-loaded kitchen tongs. Kitchen tongs are an extension of my hands when handling anything hot. 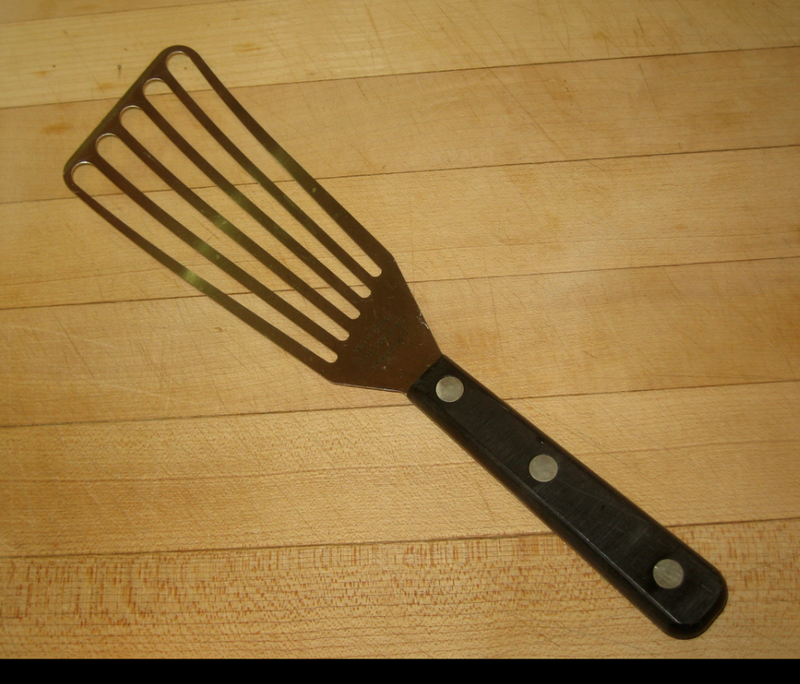 Much more handy than a kitchen fork or spatula. Read more about how I use Kitchen Tongs on page 182 of At Home. 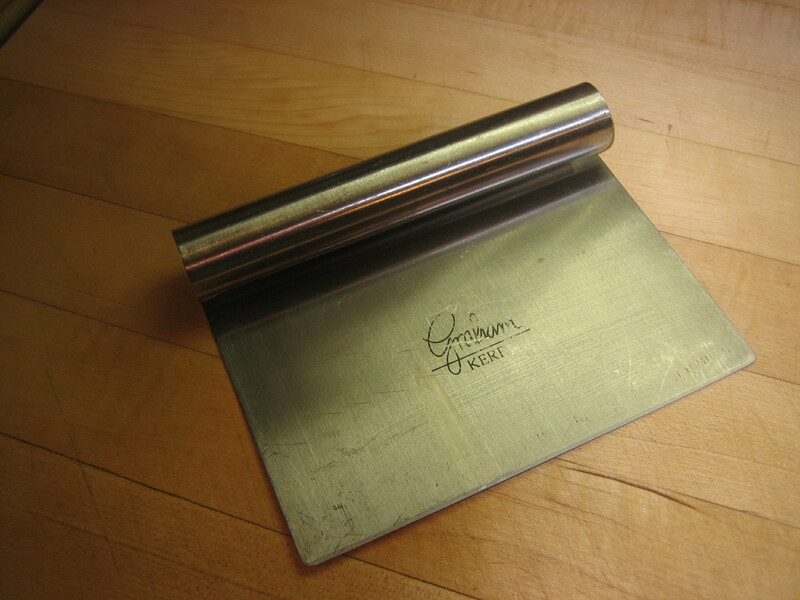 These super-sharp graters come in a variety of sizes. They are perfect lemon zesters — removing only the zest and leaving behind the bitter white pithe. 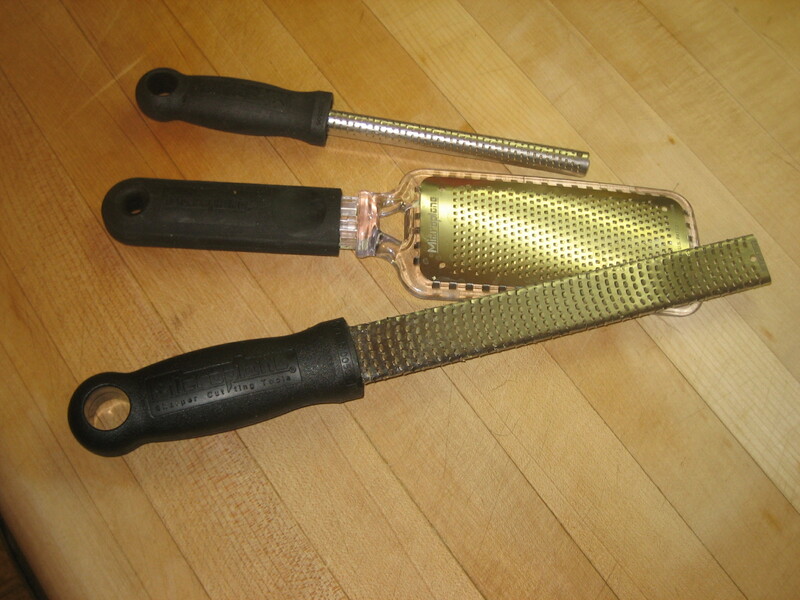 I use my microplane to grating a little nutmeg or big hunk Reggiano Parmesan. Read more about Microplanes on page 129 of At Home. Thermometers are your x-ray vision. They enable you to see inside anything you can poke and tell you the temperature. Use them to tell if your premium sirloin steak on the grill is medium rare and if your Mac ‘n Cheese heating in the oven is sizzling hot inside. 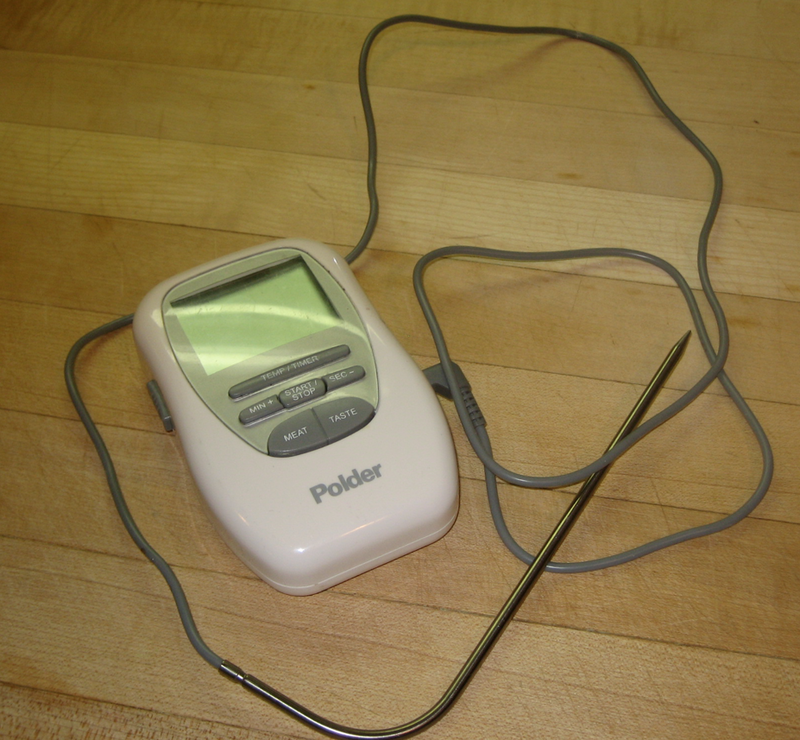 Read more about X-ray Vision: Instant Read Thermometers on page 167 of At Home. The best way to extract maximum flavor from spices is to toast whole seeds and pods in a dry pan over moderate heat until they release their fragrance, allow to cool and then grind in an electric spice grinder. (These are commonly sold as coffee grinders.) I regularly grind small batches of black peppercorns and keep a small wooden box of fresh ground pepper next to my stove. I strongly advise against ever using pre-ground pepper! 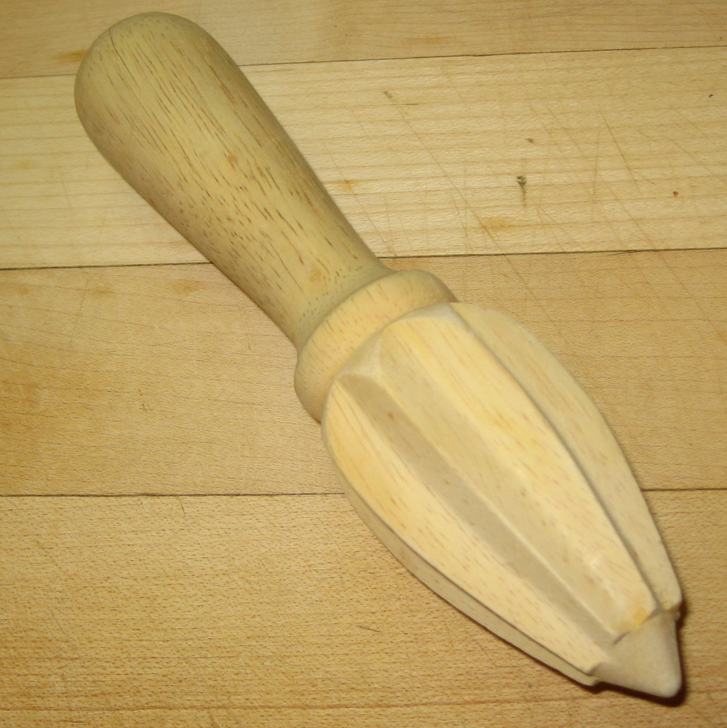 A juice reamer – typically wood – is about 5 inches long with a pointed end with grooves along its sides. This turns out to be the ideal shape to extract juice from a lemon or lime — much more effective than squeezing. 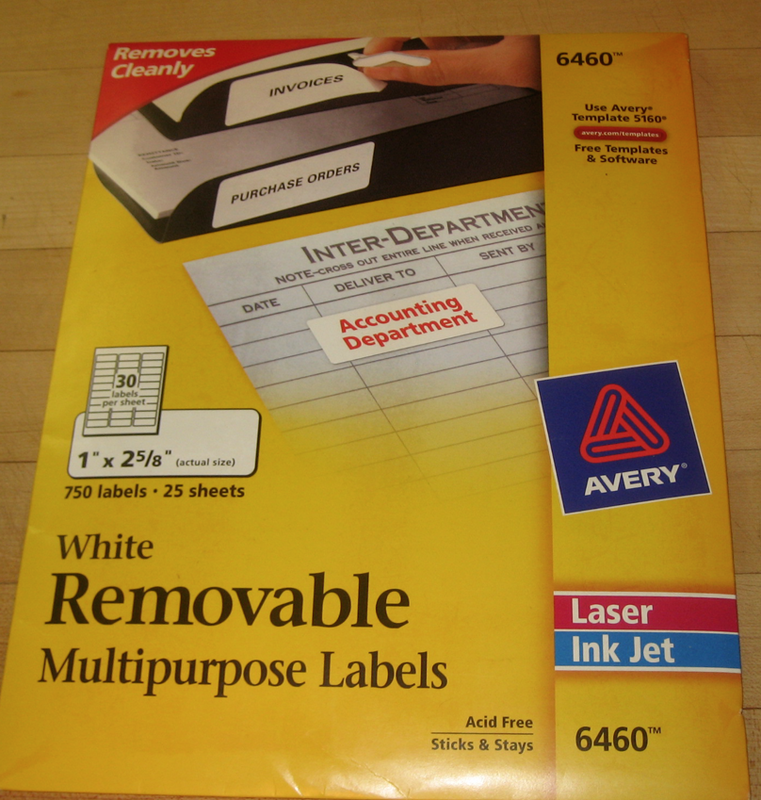 Repositionable Labels are Post-It’s for Kitchen Professionals and an indispensable tool for the Organized Entertainer. I use them for everything from making and arranging my prep tasks, arranging (and re-arranging) my work schedule — allayed on my refrigerator or kitchen cabinets — to labeling my platters and bowls so I know what goes in what. Make sure you get the removable type. Pictured here are Avery #6460. 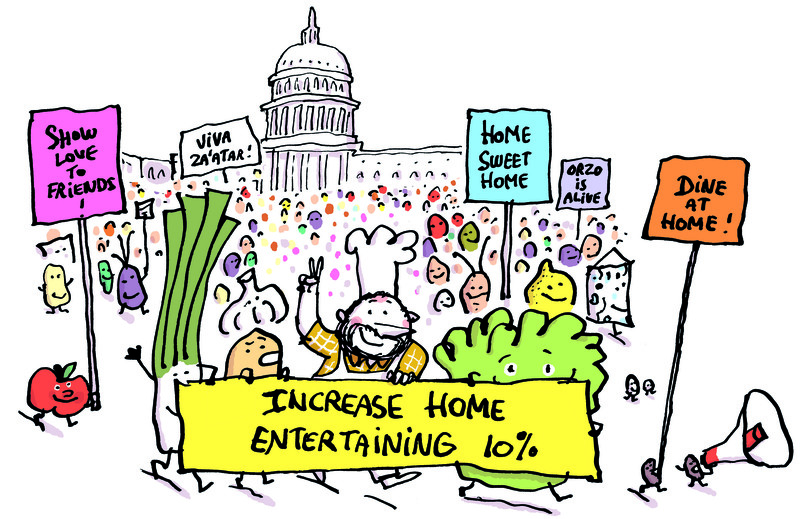 For a fuller explanation see Page 12 of At Home. In addition to a pretty bow, you may need to include some explanation as to why in the world you would give these as a gift. But trust me, they will revolutionize the life of an entertainer. People unnecessarily fear cooking fish. Turning a fish filet in a pan can be a challenge — unless you have one of these flexible fish spatulas. 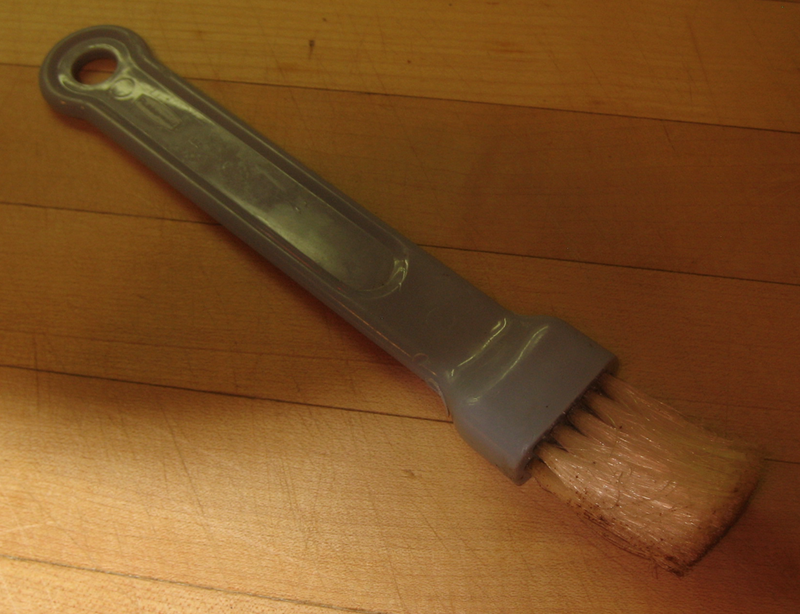 Silicone pastry brushes are ideal for basting as they remain pliable while holding up to heat. They also are simple to wash in the dishwasher. This weight with a stay-cool wooden handle improves and speeds your grilling by pressing against the top of whatever you are grilling, increasing contact of the underside with the grill and helping form a better grill marks and crust. Also excellent for cooking burgers in a pan or grilled cheese. The only infallible way to know whether a roast is done is to know its internal temperature. 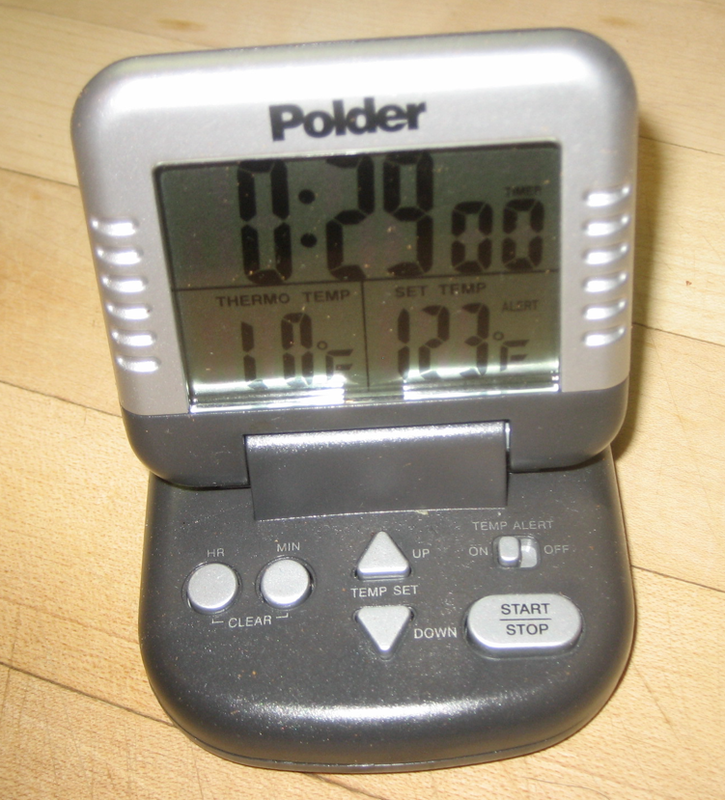 Using a guide of minutes per pound is just not reliable because oven temperatures are often not true and roasting time depends on the starting temperature of what you are roasting. (Ideally you should bring a roast to room temperature before roasting.) 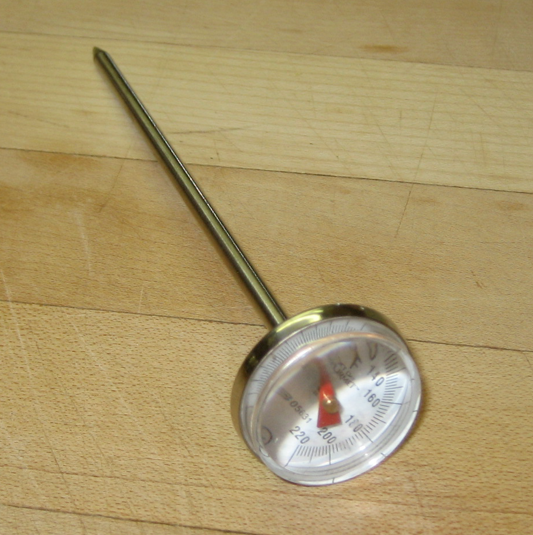 Certainly you can use a simple meat thermometer and check often, but these useful gadgets have a probe that goes inside the roast and an external thermometer that sounds the alarm when you have reached your programmed temperature. 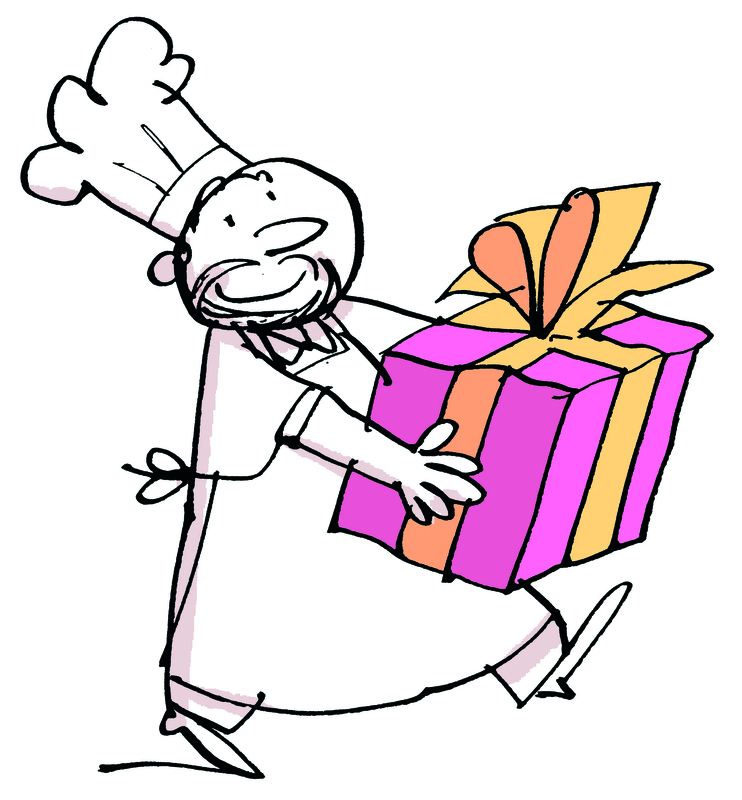 The less you have to think about and remember when cooking the better. Read about The Value of a Timer of Timer on Page 159 of At Home. Of course, the best gift you could give would be At Home — the book with the companion website. But at 500 pages and three plus pounds, it surely would not fit in a stocking. At Home is not available in bookstores but only at our on line store or at book-signings around Philadelphia. Here’s the current line-up. I was a guest on The 10! Show on Monday. I demonstrated Pan-Fired Jerk Peanuts and offered suggestions about Multi-Ethnic Snack Mixes.Here’s the video.